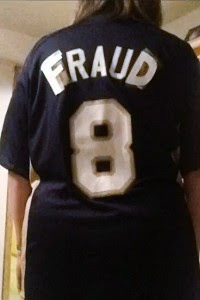 MILWAUKEE -- A Wisconsin woman said Friday she is still a Milwaukee Brewers fan, even though security at Miller Park asked her to leave a game after she changed her Ryan Braun jersey to read "FRAUD." Karen Eidem, 37, of Pewaukee, said she papered over the letters "B" and "N" in Braun's name with the letters "F" and "D" on the back of her Brewers shirt after the slugger accepted a season-ending, 65-game suspension after admitting to violating baseball's rules on performance-enhancing drugs. "A lot of fans complimented me on the jersey," Eidem told The Associated Press in a telephone interview. "It was all meant in good fun. It wasn't meant to be derogatory." Eidem said security tapped her on the shoulder while she was standing with friends at the ballpark Wednesday night. 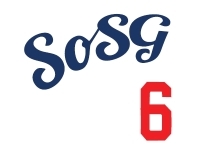 She said she was told her the modified shirt violated the fan code of conduct, and that she would have to change the shirt or leave the ballpark. Eidem turned the shirt inside out and stayed for the game. Eidem said she later looked up the code and saw that clothing or body art could not be profane or offensive. She said she didn't understand why the word "FRAUD" would be offensive. WTMJ radio says the Brewers later issued a statement saying security staff should not have interfered and offered Eidem another game ticket. "In this case, the fan absolutely should have been able to wear the jersey without any intervention by our staff. We welcome the opportunity for fans to express their opinions," the Brewers said in a statement Thursday. "The only circumstances that would warrant us intervening is if someone were to display a message or item that would be considered offensive to other fans. "This is not a case where that line was crossed, and we're sorry for the inconvenience to her." The Brewers organization also went on to say, "As this organization has acknowledged in the past, it is not perfect. It realizes now that it has made some mistakes in its handling of fans. It is willing to accept the consequences of these actions. This situation has taken a toll on the entire Brewers organization, and has been a distraction to the Ryan Braun cheating and using performance enhancing drugs situation." Although I have to respect the Brewers for acknowledging that the security staff acted incorrectly in dealing with this fan. Man, FB...thanks for the hilarious reminder of one of my favorite third-grade jokes!